Two new initiatives by Albertsons Cos. are providing grocery shoppers with in-store access to primary health care and disease management services. Today, Albertsons is officially launching Akos Med Clinic virtual health clinics inside five Safeway supermarkets in the Phoenix area. The self-guided telemedicine stations, using artificial intelligence (AI) and augmented reality (AR) technology from AdviNOW Medical, are slated to be rolled out in Safeway locations across the state through next year. Also on Thursday, Boise, Idaho-based Albertsons said it has joined the Solera Health network of National Diabetes Prevention Program (NDPP) providers. The move makes diabetes care support directly available in supermarkets across the retailer’s banners, including at Albertsons, Safeway and Vons stores. Two of the Akos Med Clinics opened at Safeway stores in Tempe and Glendale, Ariz., at the end of October and early November. The others are at Safeways in Gilbert, Mesa and Phoenix (4811 N. 83rd Ave.). 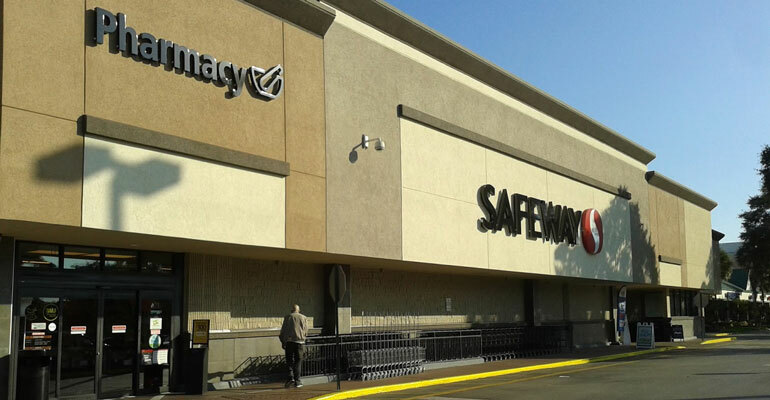 Plans call for the clinics to be opened at 50 Safeway locations in Arizona by mid-2019 and then to the chain’s stores in other states, including Colorado. Pairing Akos’ virtual health platform with AdviNOW’s AI and AR solutions, the clinics are designed to provide on-the-spot care for conditions typically treated at doctor’s offices or urgent care centers, such as sinus infections, earaches, sore throats, rashes, strains and sprains and urinary tract infections. Patients sit in front of a computer screen and a rack of user-friendly medical devices. AR technology guides them through steps to collect such data as weight, temperature, blood pressure and blood oxygen content, as well as ear, nose and throat images and chest, lung and abdomen sounds. Follow-up questions are asked until the information needed for diagnostic impression is gathered. The process usually takes less than 15 minutes. 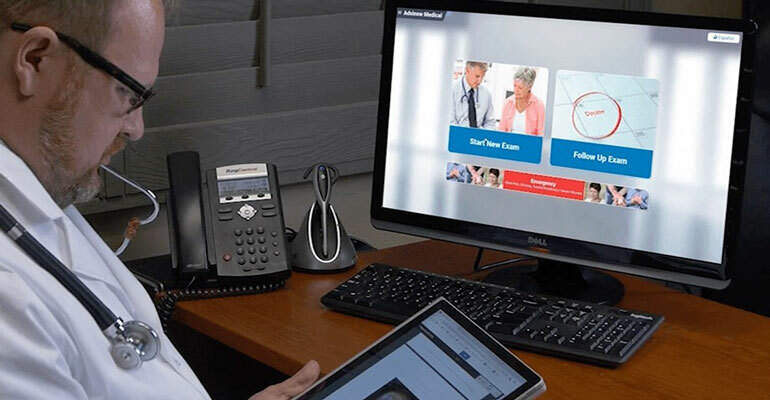 A complete patient report, including a breakdown of possible illnesses and treatment options, is sent digitally to an Akos health care provider. Through a video consultation, a health provider engages with the patient to confirm the AI-collected information, verify the diagnosis, and affirm or modify the treatment plan determined by the system. All details of the visit are automatically entered into an electronic medical record. Prescriptions and/or test orders are sent by AI to the appropriate health provider — such as a pharmacy or an imaging center — and the billing process is completed. After a certain time frame and depending on the diagnosis, the AI technology checks with the patient for a health status update and schedules a follow-up visit if necessary. Joe Leyba, director of pharmacy for Albertsons Cos., is set to take part at a ribbon-cutting event at the Akos Med Clinic in the Tempe Safeway on Thursday with Mayor Mark Mitchell, Akos Founder and CEO Kishlay Anad and AdviNOW Founder and CEO James Bates. “Our vision is that the Akos Med Clinic will increase access to care and help customers experience a one-stop shop for all their nutritional and medicinal needs,” Leyba commented when the clinic plans were announced earlier this month. Meanwhile, in the partnership with Solera, local dietitians and Albertsons Cos. pharmacists will leverage the supermarket aisles to enrich the material and experience of the diabetes prevention program. Led by the dietitian, patients with diabetes or prediabetes participate in classes where they sample and discover new foods throughout the store and learn about better-for-you meal and snack choices to help them reach their health objectives. The in-store pharmacy team supports the service by being available daily to help the diabetes patients better manage their condition and medications. During the classes, patients can ask questions and find out how to personalize their health and weight-loss plan in a way that best fits their lifestyle, according to Dolan. “It's truly customized for each person to successfully, and sustainably, reach their health and wellness goals," she added. An integrated benefit network, Solera connects patients, payers and physicians with community organizations and digital therapeutics providers. The Phoenix-based company, citing figures from the Centers for Disease Control and Prevention (CDC), reported that an estimated 30 million people (9.4% of the U.S. adult population) have diabetes and another 84 million (33.9% of the adult U.S. population) have prediabetes. "The Albertsons DPP is a great fit for people who prefer the convenience of attending classes in their neighborhood supermarket and who can benefit from the added support of a pharmacist," stated Solera CEO Brenda Schmidt.